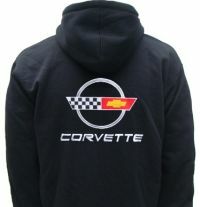 At Corvette Mods, not only will you find the perfect aftermarket, OEM and custom parts for you C4 Corvette, but you will also find all the 1984-1996 C4 Corvette-inspired apparel for yourself. From "Vette" hats to Corvette logo leather jackets and just about everything in between, we have everything you need to upgrade your apparel to C4 status. 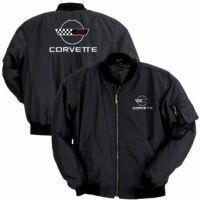 Corvette Mods carries an extensive selection of C4 Corvette apparel designed to show off your loyalty for this American classic, which ruled the streets from 1984 to 1996. 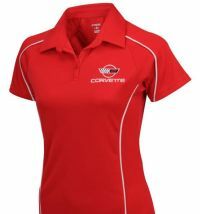 From hats to shirts, from sweatshirts to leather jackets, our C4 Corvette gear comes in various colors and styles to so even the most selective C4 owner will be pleased. 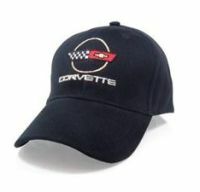 Military style hats and baseball caps embroidered with the Corvette emblem are a great way to protect your head from the elements and stay in the shade. For the ladies, we even have caps with sequined Corvette emblems that look fashionable with any outfit yet have that awesome plucked-from 1984-1996 feeling. In the shirt department, find all your favorite styles and colors. The Corvette men's Nailshead C4 long sleeve dress shirt, a staff favorite, is 100% cotton and comes embroidered with the C4 emblem. It's available in blue, white, khaki, and light blue colors. To really stay cozy, Corvette Mods carries plenty of Corvette jackets to choose from. We have men's and women's jackets -- like the Corvette Lambskin Leather Jacket, which offers style and comfort while showing off your dedication to your C4 Corvette. Be sure to also check out the Corvette C4 Beckham short sleeve V-neck tee (available in black, charcoal, gray and white) and the many different styles of long sleeve tees that let you to show the world your passion for your C4 Corvette while staying warm. Shop our collection of C4 apparel knowing that we offer the most competitive prices anywhere because we obsess over your 1984-1996 C4 Corvette. 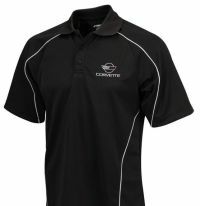 So take your time, browse through the C4 Corvette apparel below and find your style.